Over time, I have often talked on a few complex tasks being attained using a smartphone. For example, being able to sign documents do not necessarily require a computer, anymore. Using a smartphone does that pretty well. Now, is a case of being able to not only create and edit post thumbnails, but being able to also upload YouTube thumbnails using a smartphone. In this case, an iPhone. On a computer, I most often use Adobe Premiere Pro in creating thumbnails. The software isn’t only handy for editing videos, it can be used in creating really awesome thumbnails. Another tool for PC users would have to be pic monkey. However, since we are gonna be based on smartphone for now, let’s stick with the subject matter. Most of the recent custom designed thumbnails you find on this blog, are created using a smartphone. In most cases, an iPhone. Same applies to some of the most recent videos uploaded to my YouTube channel. In a related news, lately, i have been publishing tutorials on my YouTube channel. If you haven’t subscribed or perhaps, you’d like to show support, please click here to access the channel and click the subscribe button. If you want to take the support a notch higher (which I appreciate), just hit the LIKE and Share button on some of the videos that interest you. Back to the main subject matter, I personally use three apps for achieving being able to create, edit and upload YouTube Thumbnails. 1. The YouTube Studio App is an app for typically YouTubers. If you have a YouTube Channel and you aim to better manage your videos, analytics, earnings and more on mobile, the Studio app is very essential. 2. Snapseed is another amazing app by Google. I find snapseed to be really interesting. 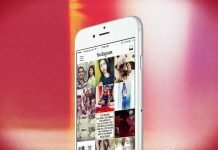 Although a picture editing app, there’s much more you can attain using the app than just creating post and YouTube Thumbnails. 3. Adobe Spark as the name has it, is a product by Adobe. Although there is a web version, the app is very much available on mobile – both android and iOS. Adobe spark unlike snapseed is essentially for creating post images and thumbnails. Being basically tailored to image content creation, there’s a lot you can do with adobe spark. Based on personal usage, you’d most likely create better looking thumbnails using spark than with snapseed. Extra Tip: The featured image above was created using Adobe spark. I know it’s not very fine, thank you. All of these apps can be found on the App Store on iOS. And yes, all of these apps are also available on Android. Just search the Google Play Store. In-other to save this content from being very lengthy, I have created and published a video which shows you a step by step guide on how to download a YouTube Thumbnail, Editing and re-upload all on a smartphone. In the video, I used an iPhone. However, same can very much be attained using an Android smartphone. Just get creative and begin creating really cool post thumbnails. If you are a YouTuber, here’s a chance to edit all your present video thumbnails if necessary from the comfort of your smartphone. So there you have it. That’s basically how to create, edit upload post or YouTube thumbnail using your smartphone. Questions? Feel free to ask using the comment session. Remember to subscribe to the YouTube channel and thank you in advance.